Set out plump rhizomes with a fan of foliage attached in spring, just as new growth appears, or in early autumn. Plant shallow, so that the rhizomes are barely covered with soil. 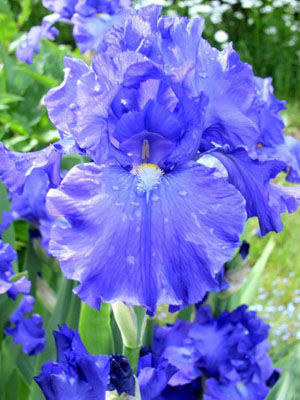 Allow 30cm (12in) between large-flowered bearded irises. Siberian iris roots should be planted 15cm (6in) apart.